The SunRay II has two light settings. Its moderate price has made it a very popular unit among the larger boxes. As recommended by leading researchers, the light is delivered at a downward angle for maximum effectiveness. The leg pieces of the desk stand are easily detached and reattached to the back of the unit for portability. 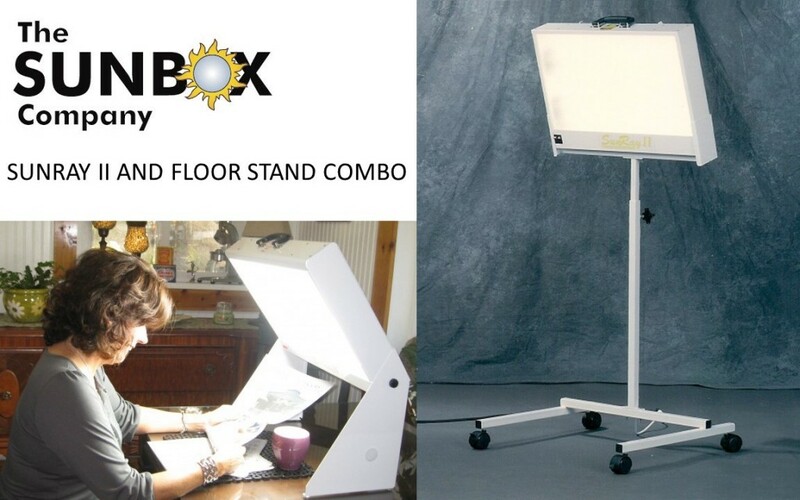 Package includes easy to use floor stand with casters Ideal for: Home, Office, or with Exercise Equipment. Made in the USA! !